Learning Spanish and exploring beautiful Costa Rica. Most of us see a vacation as a chance to really slow down and recharge, which is logical enough. Sometimes, though, a week of relaxation just doesn't do it. Don't get me wrong, I love alternating between floating on my back in the ocean and falling asleep on the beach. It's one of my favorite things. But relaxation is just one obligation to myself. There are others, like so many personal goals: reading classics, practicing piano, learning Spanish. I love these activities and owe it to myself to dedicate some energy towards each of them when I can. When I traveled to Costa Rica this February I was able to embrace a few of these obligations to myself, and I'd be lying if floating on my back in the ocean weren't one of them. But a close second was my Spanish class in Manuel Antonio. I wasn't the best or worst of students in grade school. No doubt I took many opportunities for granted, but in my adulthood education has always felt like one of the greatest privileges. Especially when it takes place on my own time and in flip flops. 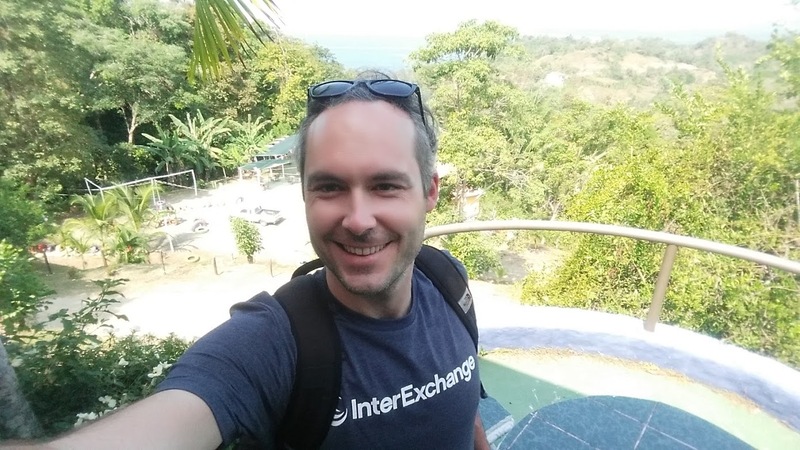 On the InterExchange Spanish Immersion Costa Rica program, participants choose between cosmopolitan San Jose or the beach town of Manuel Antonio. I was in vacation mode so I opted for the beach. My host family was 20 minutes over a hill in a cool town called Quepos, so after breakfast with my host mom and sister each morning I grabbed my backpack (towel, snack, water pre-frozen overnight, Spanish workbook, a novel, and sunblock) and caught a local bus for just under a dollar. A morning scene at the Manuel Antonio language school. I won't dwell on my mornings. Suffice to say that I wandered around in the park, recorded the howler monkeys, splashed around in the ocean (then the pool), indulged in great-but-not-expensive-meals, took selfies, got a little sun burnt, fell asleep while reading my book… and that kind of thing. Sometime late in the morning it would occur to me, "Well I guess I have to go to my class now." I would rise from the sand with mocked effort: "Ah, it's so difficult to get up and flip flop over to my private Spanish lesson five minutes away!" In reality, that class was what gave meaning to my entire vacation and really allowed me to recharge. There's something about active attention to self improvement (as opposed to completely switching off) that gives me a nice sense of momentum and accomplishment even while enjoying my down time. Taking time off means remembering our obligations to ourselves, and these are different for all of us. Thinking of a vacation as an opportunity to care for ourselves, rather than to escape the person we may subconsciously become at the workplace, is just a small shift in perspective but I believe it makes all the difference in satisfaction and our ability to recharge. I enjoyed the Manuel Antonio sunset! 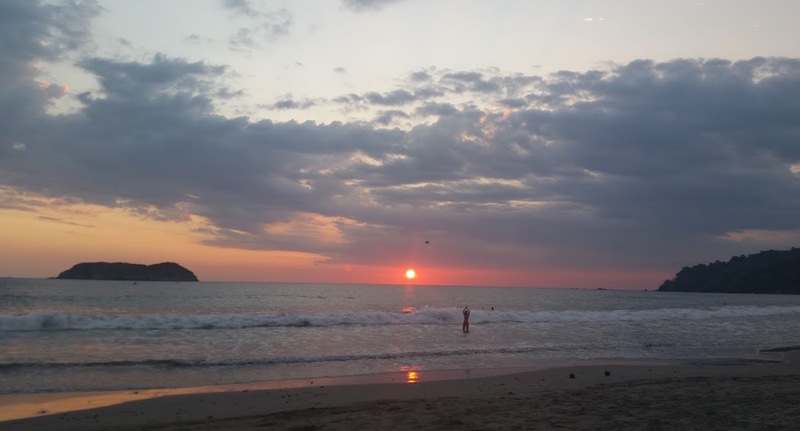 Improve your Spanish at Manuel Antonio beach or in San Jose, Costa Rica! 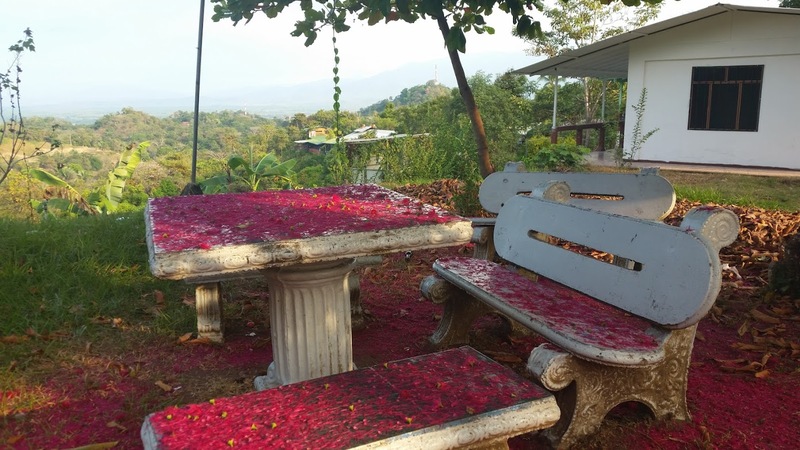 As a participant in our Spanish Immersion Costa Rica program, you will have the opportunity to improve your language proficiency quickly while exploring a beautiful country and living with a local family in the process. You'll have access to amazing beaches and rainforests, as well as rafting, hiking, and kayaking options!